Spring Lake Planning Commissioners have approved The "Epicurean Village" on W. Savidge Street. "Very exciting" and "a step in a positive direction" are some of their comments. SPRING LAKE, Mich. – Members of the Spring Lake Planning Commission say they are excited about a developer’s plan to transform several vacant downtown buildings into restaurant, retail and residential space. Restaurant, retail and 10 residential units are planned for 106, 108 and 110 W. Savidge Street. The development is called “Epicurean Village.” Spring Lake native Kim VanKampen is the investor backing the project. “This is a great step in a positive direction,” says commissioner Richard Martinus. 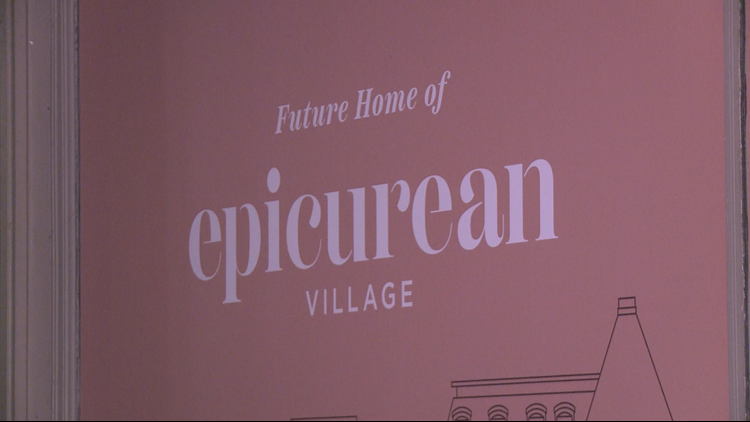 The Planning Commission voted unanimously to approve Epicurean Village at their meeting Tuesday night. Her team says VanKampen has invested $3 million in Spring Lake real estate and has other plans.